A search operation for a man missing off the Kerry coast has ended for the evening and will resume tomorrow morning. It is understood he was fishing off rocks west of Ballyheigue in the Kerry Head area when he was swept into the water yesterday afternoon. 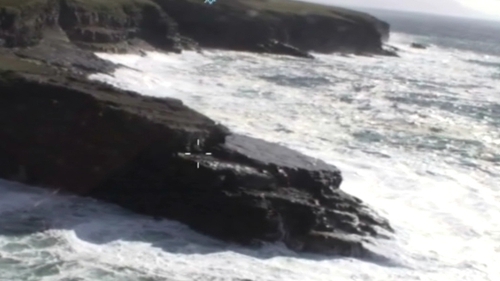 There are believed to be 'very difficult' rough sea conditions around the cove area where fishing gear was found and the missing man last seen. The LÉ Orla, Shannon-based Coastguard helicopter, Glenderry and Ballybunion Coastguard units and Fenit RNLI lifeboat are taking part with around 30 to 40 personnel involved.